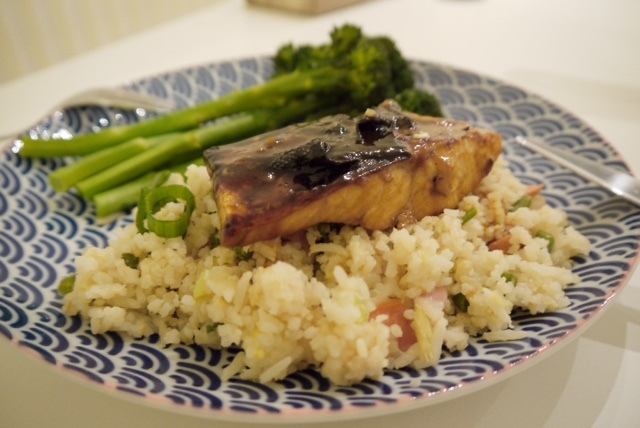 A few weeks ago I came across a really simple salmon recipe on Lucylovestoeat.com that I wanted to try. It's a simple one that can be made during the weekday when you don't have much time to cook and best of all it takes less than 20 minutes to make and it's absolutely delicious. It can be served on plain / fried rice or even salad. I made it yesterday for my mother in law as an early Mothers Day celebration since I have never cooked for her and she's visiting us from Hong Kong. Salmon fillets 4 - fresh salmon works best when I first made it - the above photo was made with frozen salmon. Mix all the above ingredients together to make the marinade and put the fish in to soak and absorb all the flavors. 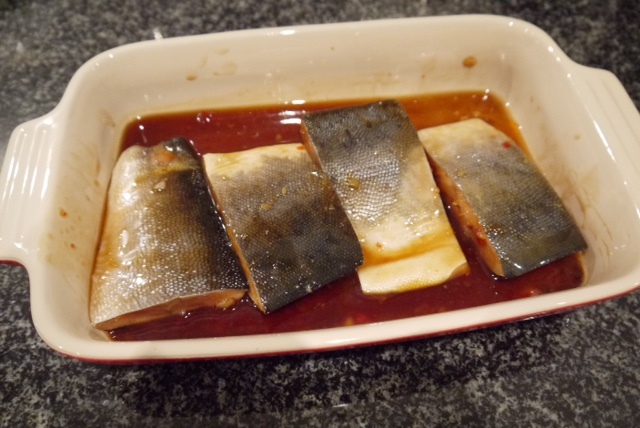 I generally like to marinade it for as long as possible but if you don't have time then 10-15 minutes will be ok.
Heat up your frying pan but make sure you use a non stick one then add a little oil then add the salmon in to start the cooking. Soon as the salmon is in the pan I like to turn the heat down lower to slowly cook it for around 3 minute then flip it over to the other side. Once it's cooked add in the remaining marinade sauce and it should start bubbling into a glaze sauce then you can turn the heat off to serve. Yes it really is as simple as that! 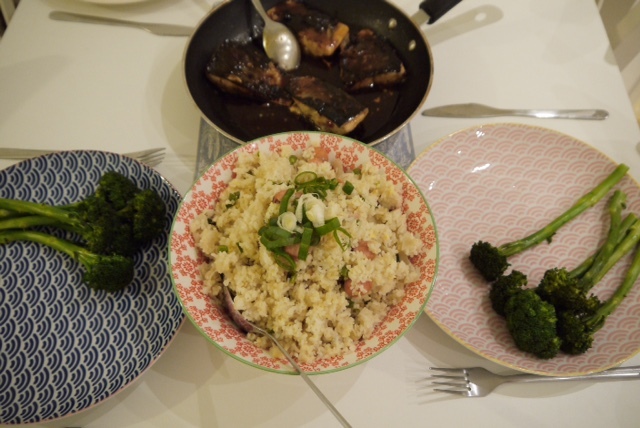 I served the salmon with some simple fried rice and steamed brocoli. This dish is so versatile that it can be served on salad or what ever you want. 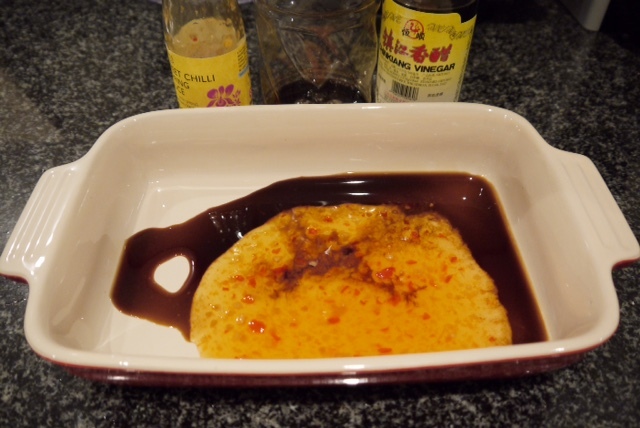 It is absolutely delicious, definitely something I would make weekly and Lucy told me the sauce can be used to marinade chicken / chicken wings also. HomeSense is so good for branded discounted items especially for the kitchen. I am going to pick up a few more items from the above (bowls) range, I was told more stock would be added this weekend.